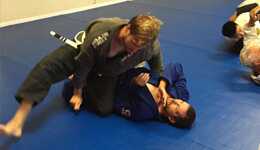 Our Brazilian Jiu-Jitsu classes focuses on self-defense and allows you to build a solid Jiu-Jitsu foundation. We welcome students of all levels. We are dedicated to spreading the art and technique of Gracie Jiu-Jitsu. 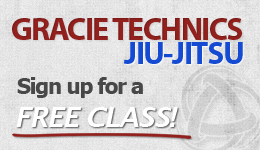 We are proud to be a part of the Gracie Technics family. Join us today! We are affiliated with the Pedro Sauer Brazilian Jiu-Jitsu Association. We work with several schools around the Pacific NW for special cross-training events. Interested in trying Jiu-Jitsu? Whether you want to learn self-defense or get into shape, come by and visit our academy today!